Hello Articulate Community! In the past year or more, I've focused on taking advantage of all the bells and whistles Storyline 2 and now 360 has to offer. I've moved away from the standard Next, Next, Next linear navigation and have incorporated sliders, tabs, etc to display content on a single slide with multiple layers and also created custom buttons for Menu, Play/Pause, etc. However, I've received feedback from learners that they don't like the navigation or that it's confusing. They don't like all the clicking and just want to read the information or listen to the narration. In our effort to engage learners and increase interaction, are we doing too much? It seems learners just want a menu on the left and next/prev buttons to click through the course. Do your courses typically follow a linear navigation (next, next, next)? What is your go-to navigation style for presenting content? I think that most learners won't complain with a menu on the left and Next, Next, Next. And here's the slide view. 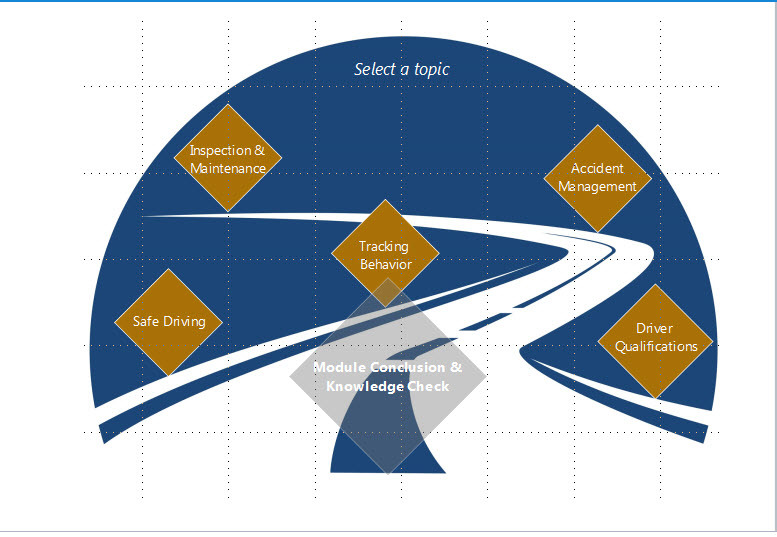 You can see where the entrance to the knowledge check appears once learner has gone through all sections. It ain't complex, but it's kinda interesting. Again, especially when coupled with a judicious zoom and motor-accelerating sfx. So beyond the menu, do you use a linear style? For most content, yes. Though, menu choice has much to do with how linear a course is. Amanda, I think it's helpful to distinguish between interactivity that is fundamentally oriented to presenting information and interactivity that is fundamentally intended to challenge learners to put information to use in a realistic job situation. The former is somewhat low value, and I can see how too much of it might become annoying to learners: Why make me click-click-click to reveal each little nugget of information? Why not just let me read it at my own pace? To take a topic from Daniel's menu as an example, if my module on Inspection and Maintenance consists largely of pages where I click each thing I need to inspect or maintain and, in response, get a block of text or a pictorial diagram or video or whatever that tells me how to do it, is that really much different than just putting that content linearly on a sequence of pages I can page through by clicking Next? 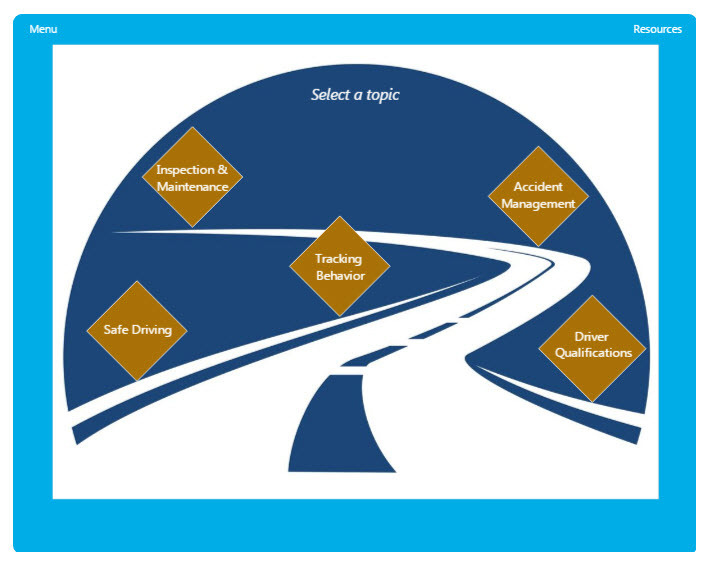 On the other hand, if my Inspection and Maintenance module puts me in front of a car that is experiencing a set of problematic symptoms and I have to inspect, diagnose, and fix the problem(s), that is likely more engaging and more relevant to my job. It is more performance oriented than information oriented, and therefore the clicks I use to interact with this content are indeed fundamentally different from clicking Next. With this kind of interaction, learners are less likely to complain about "all the clicking" (assuming the interaction is well-designed, and the challenge presented is truly relevant to what they need to be able to do on the job). The bottom line is, not all clicking is the same; and not all interactivity has the same instructional value or ability to engage. Amanda, spend a few hours reading everything you can on Cathy Moore's website. Then go back and look at the training that you are building and you'll have a much better idea why your learners are complaining. "Amanda, I think it's helpful to distinguish between interactivity t..."
How do I display the text for "Next" and "Previous" navigation?